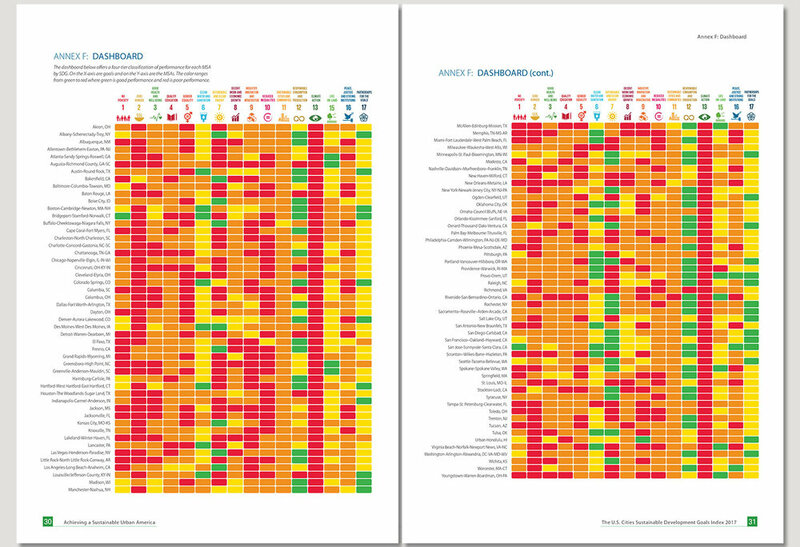 Design, Layout and Data Visualizations of SDSN’s first U.S. cities SDG Index. 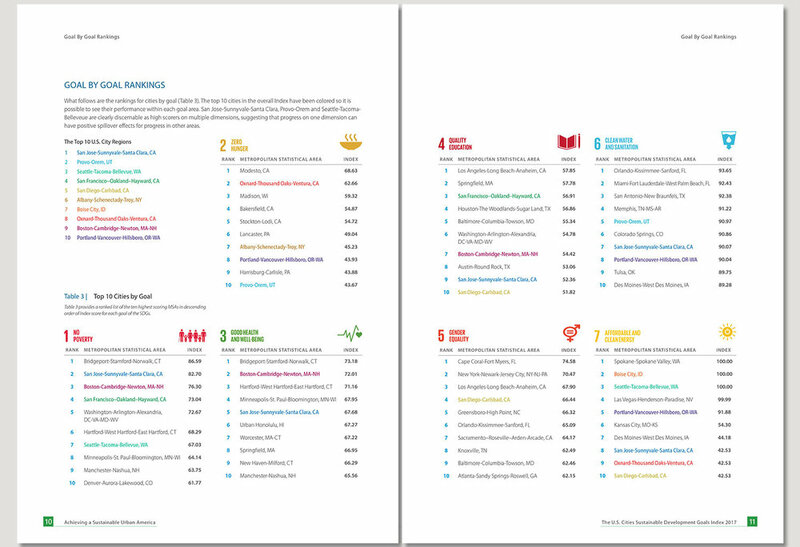 This U.S. Cities SDG Index aims to set a framework for action and help urban leaders address the many sustainable development challenges affecting their cities. The Index covers the 100 most populous cities. 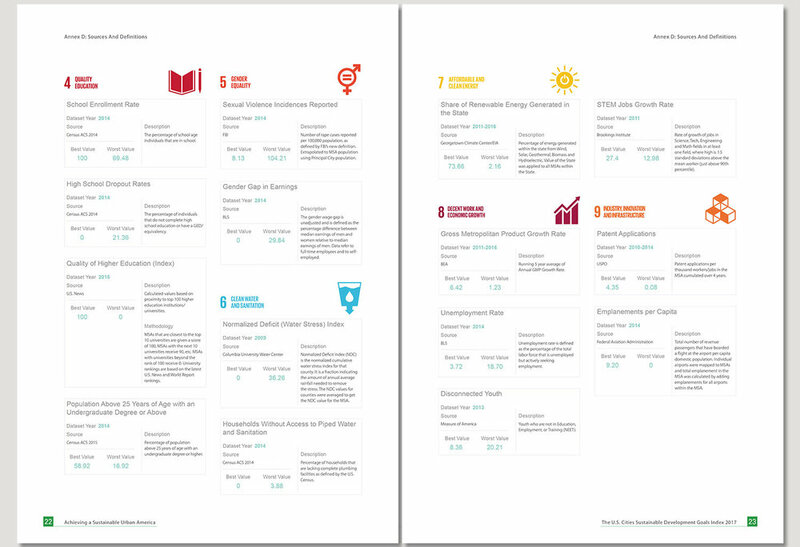 It synthesizes data available today across 49 indicators spanning 16 of the 17 Sustainable Development Goals (SDGs) that were agreed upon by all countries in September 2015. The data provides a more holistic and comprehensive assessment of sustainable development challenges faced by U.S. cities than available through other metrics. Results show that all U.S. cities, even those at the top of the Index, have far to go to achieve the SDGs.